Where are 'notes' located? How do I view notes? Notes can be entered on each punch and viewed by employees, managers, and administrators. Notes will be in a few places after an employee enters them. 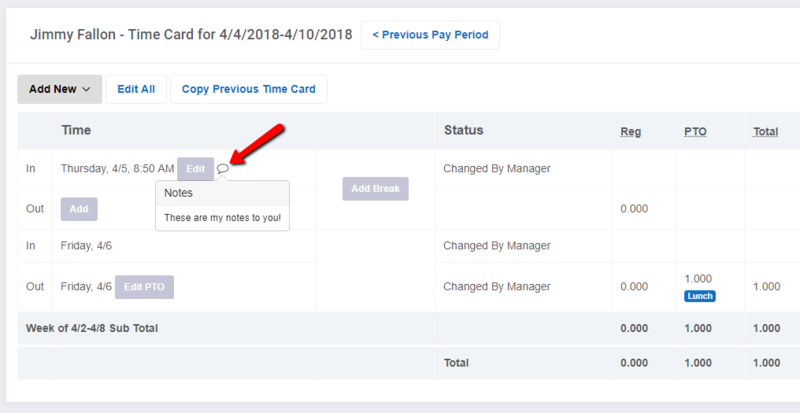 They will be in the time card view (log in as an admin and go to Timecards --> View --> Edit next to each time). After clicking on "Edit" you will see the notes in the revision history of each punch. 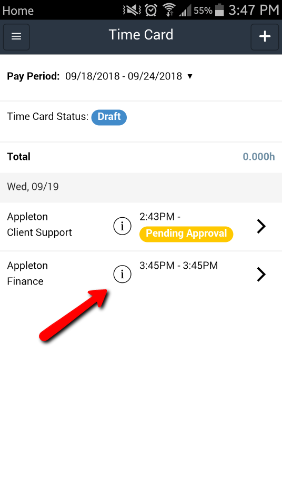 They are also available if you hover over the notes icon on the dashboard or timecard. Since notes are on a per-punch basis, most reports do not give each punch - therefore notes wouldn't make sense on every report. Instead notes are included on the "In & Out Activity Report." Notes can also be viewed in the app. Visit the Menu and select Timecards. Click the "i" with a circle around it next to the punch to view the note for that particular punch.